Add-on Item! 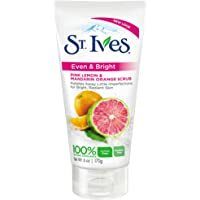 Get St. Ives Pink Lemon and Mandarin Orange Radiant Skin Face Scrub (6-Oz.) from Amazon.com.